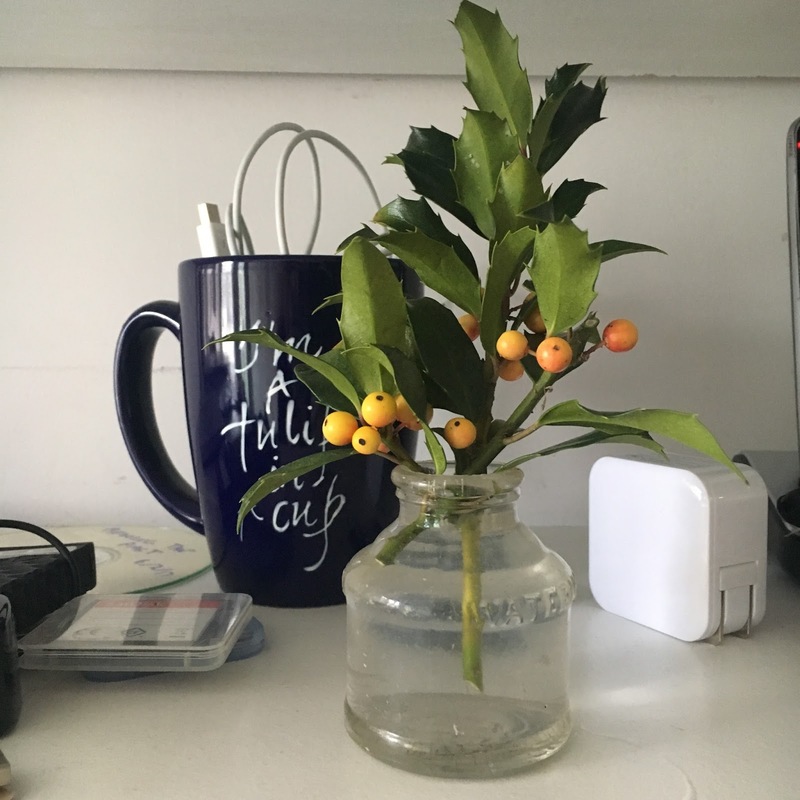 A friend gave me some yellow holly yesterday. It replaces the bright orange berries of bittersweet in my old ink bottle. It's perfect for this transitional time. Thanksgiving, the last of autumn, is past, but I'm not ready for Christmas decorating. The holly leaf speaks of the days to come and the berries remind me of the days left behind.